NEW YORK, NY--(Marketwired - November 12, 2015) - Influenster, the leading product discovery and reviews site, is debuting its first ever Reviewers' Choice Awards: Best in Beauty. This exciting celebration of the top beauty brands and products is a culmination of the robust collection of quality product reviews and ratings on Influenster.com -- a growing community of over 1.5 million members who have written over five million reviews. The first beauty product award program of its kind, this is the only online-voting awards platform where the nominees are chosen based on reviews and user-generated content by the Influenster community. Our members are the voice and ultimate judge of the best in beauty. Influenster selected these nominated products -- in 60 categories that span across makeup, skincare, hair, and nails -- based on members' activity on Influenster's review platform, including the quality, quantity, and recency of reviews, ratings, commonly-used phrases, questions asked, answers given, shares made, and product lists created that include the product. Members and the general public will have the final say on the winners via a voting process. Voting officially opens today and members are encouraged to vote for their favorite, standout products. Voters have until November 25 to finalize their selections before the poll closes; winners will be announced in the winter. The Influenster community of 1.5 million+ members is still rapidly growing. These product mavens with a heavy social media presence use their influence to spread the word about the products they know. Ever since the launch of Influenster.com less than two years ago, over five million reviews have been created on nearly one million products. Headquartered in New York City, Influenster was founded by Elizabeth Scherle and Aydin Acar in 2011. For more information or to become an Influenster visit: www.influenster.com. How to get involved in the Influenster Reviewers' Choice Awards: Best in Beauty. 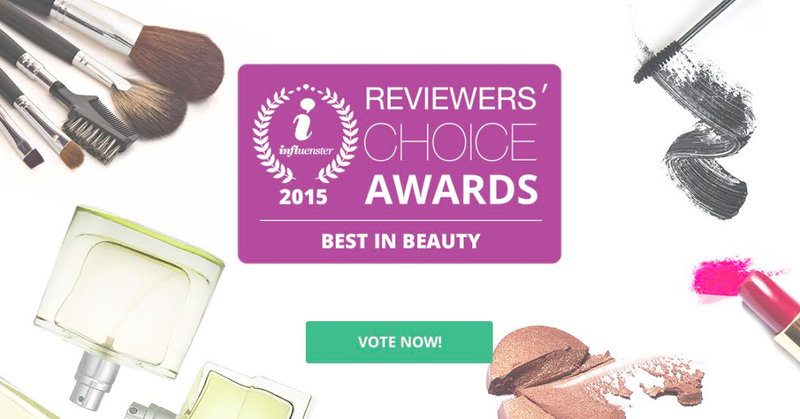 Cast your votes on the Influenster Reviewers' Choice Awards: Best in Beauty.